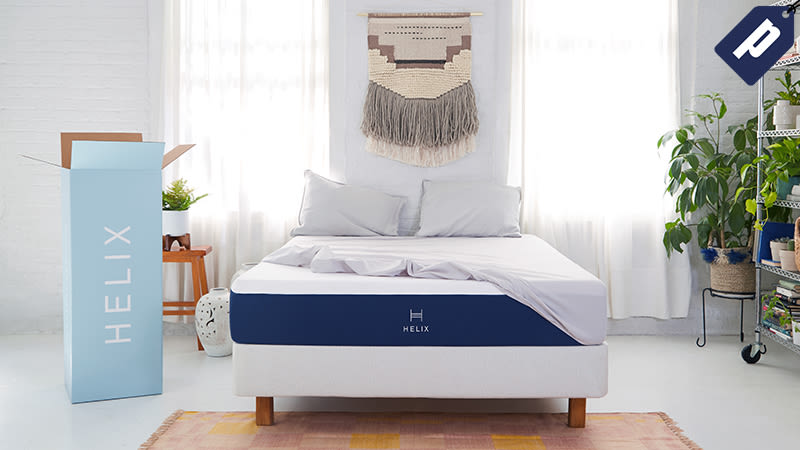 Helix uses your sleep preferences to create a personalized mattress based on feel, support, temperature regulation, and point elasticity. Ensuring all night comfort, the mattress features a blend of proprietary dynamic foam, high-grade polyfoam, and pocketed microcoils. Use code MATTRESS18 to save $75 on any mattress, or SPRING18 to knock $125 off when you purchase a mattress plus any other product. Full details here.